I worked for over 12 hours on my computer today imputing loads of genealogy, and realized that I still had a great deal more to do. I discovered that I had not put any of the McMillians in the database and that is a long list of people. They are derived from a clan of 13, and each of them had several children and I am apart of the third generation of that clan, so there are many out there. This is a very time consuming task, but I am putting it away until next week. One great thing happened today, my cousin Jesse and I made contact with the great-granddaughter of my great-grandmother’s brother. She was located on Ancestry.com and the kicker is that she lives right there in Richmond Hill, Georgia right outside of Savannah, and has been there for some time. See, many of the Ryals clan moved to Savannah, and my mother grew up in Savannah. I am going home for the Christmas holidays and am really looking forward to meeting her and her siblings. She and my mother talked today and plan to get together with my mother’s sister. So hopefully when I get there we can share pictures and possibly stories that has been passed down through generations. 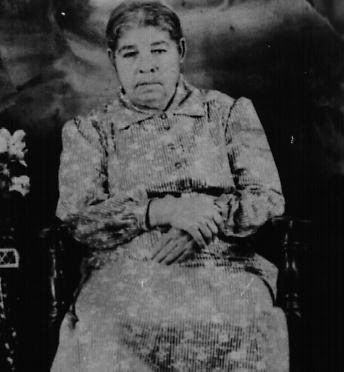 We are descendents of Susie McRae Ryals from Telfair County, Georgia.